London, Brighton & South Coast Railway E1 Class 0-6-0T W2 Yarmouth stands in the yard at Havenstreet, on the Isle of Wight Steam Railway on 29 May 2013. Built at Brighton Works in 1877 as 110 Burgundy, the loco remained in service until 1927. 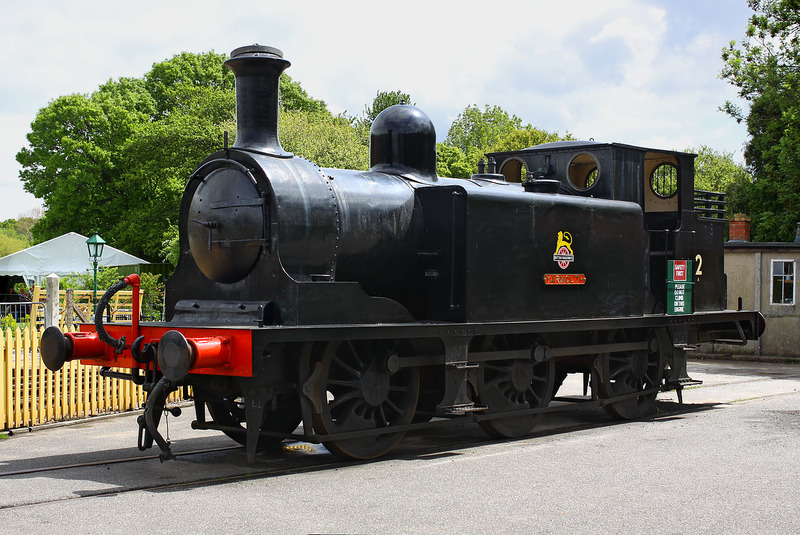 It was then sold by the Southern Railway for industrial use, and was eventually acquired for preservation, gained its new number and name once it had arrived in the Isle of Wight in 2011.